This upcoming Tuesday begins one of my favorite weeks of the year: Fusebox Festival. I highly recommend Rude Mechs (Austin, TX)' "Not Every Mountain" and am particularly looking forward to seeing how Justin Favela will make "piñata" a verb on the fest's Hub, Janet40's "Li Po", Adrienne Truscott's two performances, and many others. It's all FREE, with reservations required for certain events. I'll be speaking as part of "The Art of Science" Waffle Chat on Thursday 4/18 at noon, ahead of the three performances of Golden Hornet's "The Sound of Science" featuring Jeffrey Zeigler. Saturday April 20 is officially full, but tickets remain for the 2 pm & 5 pm shows on Sunday April 21! Claim your free spot @ bit.ly/SOSfusebox 1 week 2 days ago. Graham Reynolds Music shared a post. Hope to see you THIS Saturday at 3TEN Austin City Limits Live for the Electric Lounge 20 Year Reunion Show! 1 week 6 days ago. Graham Reynolds Music updated their cover photo. Excited to finally bring this work to Austin! Co-curated alongside Jeffrey Zeigler and featuring works by Maja S. K. Ratkje, Paola Prestini, Foday Musa Suso, Yuka C. Honda, Sarah Lipstate, Felipe Perez Santiago, and myself, the project brings brings the two disciplines together in a celebration of their shared culture of inquiry. Commissioned by Golden Hornet. Three FREE performances at The North Door as part of Fusebox Festival: Sat April 20 @ 8 pm | Sun April 21 @ 2 pm or 5 pm Reservation Required @ bit.ly/SOSfusebox 2 weeks 4 days ago. OperaATX is Austin Opera's new contemporary opera series, an exciting development for the scene! This weekend, April 5 & 6, are their first shows and it will be a good one. I saw "Soldier Songs" at the very first PROTOTYPE Festival years ago; the same fest that served as the NYC host for our bilingual opera, "Pancho Villa from a Safe Distance" earlier this year. My friend Todd Reynolds will be conducting the Austin premiere of David T. Little's multimedia opera. More info @ Opera ATX – Soldier Songs - see you there. 2 weeks 5 days ago. Graham Reynolds Music is with Daniel Chrisman and 10 others. Some glimpses into the GRIMM TALES rehearsals with Ballet Austin! World premiere TONIGHT, Friday 3/29 8 pm at Long Center, with performances on Saturday and Sunday as well. Get tickets @ bit.ly/grimmballet 📷 Anne Marie Bloodgood 3 weeks 2 days ago. 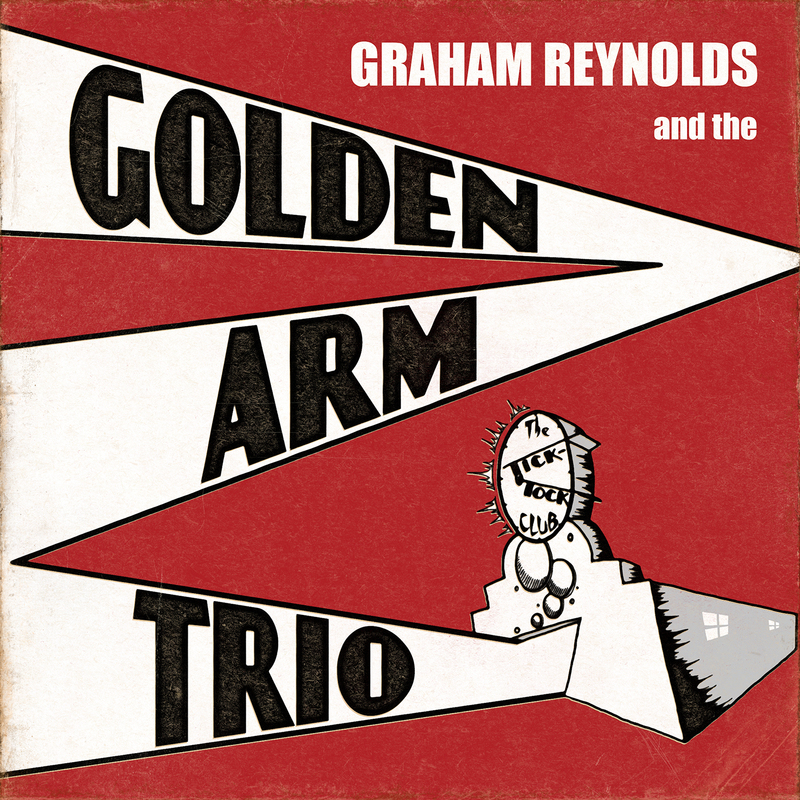 Recorded by Graham Reynolds with Buzz Moran. Recorded at Red House Studio, Austin, Texas. Jonathan Dexter-cello; Bruce Colson, Caroline Slack, Joseph Shuffield-violin; Jason Elinoff, Michalis Koutsoupides-viola, Jessica Gilliam-Valls, Erik Grostic, Lindsay Greene-upright bass; Paul Klemperer, Thad Scott, David Chenu-saxes; Brian Shaw, Mike Hoffer-trumpet; Jerome Smith, Wayne Myers, Mike Hoffer: trombone; Josh Robins. Aaryn Russell, Adam Sultan-guitars; Naomi Seidman-flute, Leigh Ann Woodard-oboe, Chuck Fischer-vibes; Buzz Moran-Percussion; Graham Reynolds-piano. drums and misc.